The Academic Senate has identified the need for separate processes for renaming units for academic purposes versus renaming for honorific or symbolic purposes. Currently the University Statutes do not make this distinction and do not provide the Academic Senate with the necessary flexibility to properly address these different situations. Decision-making authority related to the academic mission and operations of the university shall, pursuant to applicable laws, University Statutes, the General Rules and the Campus Administrative Manual, remain the sole province of the faculty, administration and Board of Trustees. This policy sets forth the approval process for proposals to establish a New Unit of Instruction, Research, or Public Service or to rename an Academic Unit to reflect a change in academic organization. This policy implements state law and Board of Trustees policy with respect to the creation of a New Unit of Instruction, Research, or Public Service or the renaming of an Academic Unit to reflect a change in academic organization pursuant to Article VIII, Sections 3 and 4 of the University Statutes. This policy does not apply to the naming of programs and facilities for distinguished individuals or donors governed by Article V, Section 4 of the General Rules Concerning University Organization and Procedure (see Naming Campus Facilities and Programs for Distinguished Individuals and Donors). This policy also does not apply to the installation of commemorative plaques on or near objects, plantings or interior spaces (see Commemorative Plaques for Plantings, Objects and Interior Spaces). This policy does not amend Board of Trustees (Board) policies. Illinois Board of Higher Education Act, 110 ILCS 205/7 and companion rules at 23 Ill. Adm. Code Part 1050; Article VIII, Sections 3 and 4 of the University Statutes; and the Chancellor. 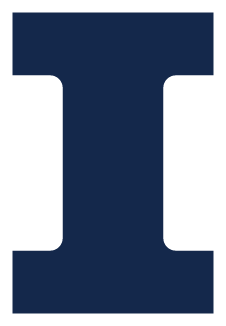 Proposals to establish a New Unit of Instruction, Research, or Public Service must comply with the procedure set forth in Article VIII, Section 3 of the University Statutes and be approved by the Board of Trustees prior to being submitted to the Illinois Board of Higher Education for final approval. Proposals to rename an academic unit due to a change in academic organization, such as termination, separation, transfer, merger or change in status, must comply with Article VIII, Section 4 of the University Statutes. If such change in academic organization would establish a New Unit of Instruction, Research, or Public Service, then the proposal also must be submitted to the Illinois Board of Higher Education for final approval, unless the proposed change otherwise qualifies as a Reasonable and Moderate Extension. New Unit of Instruction, Research or Public Service (defined at 110 ILCS 205/7) includes the establishment of a college, school, division, institute, department or other unit in any field of instruction, research, or public service not previously included in the program of the University, and includes the establishment of any new branch or campus. The term does not include Reasonable and Moderate Extensions of existing curricula, research, or public service programs that have a direct relationship to existing programs. An addition to or modification of an existing unit of instruction that has a direct relationship to the existing unit and that does not result in a significant change in curriculum, objectives or resources for the unit of instruction. An addition of a unit supported primarily through external funding, including the establishment of a grant-funded center. When approved under this category, the unit would hold approval through the period of external funding and would not require additional approval unless the external funding was no longer available. The University would not commit to maintain the unit if the external funding was lost and the University would report elimination of the center through the annual listing process provided to the Board of Higher Education. An addition of an out-of-region Board of Higher Education approved program of study at a new instructional location. An addition to or modification of an existing unit of research or public service that has a direct relationship to an existing Unit of Instruction, Research or Public Service; is consistent with the existing research or public service mission of the University; and will be concluded within a well-defined timeframe. A change in classification, title or degree designation of an existing Unit of Instruction, Research, or Public Service that more accurately reflects the content, objectives and programmatic activities for the unit. An addition of a certificate program from one or more existing units of instruction. Unit means a division of the University to which academic appointments can be made and to which resources can be allocated, including departments and similar units, centers, institutes, schools, and colleges.